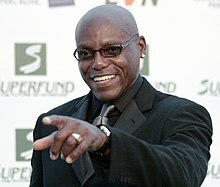 Frederick Carlton "Carl" Lewis (born July 1, 1961) is an American retired track and field athlete. He has won nine Olympic gold medals and eight World Championships. Lewis became an actor and has appeared in a number of movies. This page was last changed on 6 April 2019, at 23:03.